Image credit: Music in Familiar Spaces (musicinfamiliarspaces.com). Bringing together what some might consider to be two of the finer things in life, internationally-recognized cellist Steuart Pincombe will partner with Tupps Brewery for Bach & Beer, a unique pairing event to be held at the brewery's location in McKinney on Thursday, February 4 at 7 p.m.
Named as one of the "Top Ten classical music events of 2014" by the Cleveland Plain Dealer, Bach & Beer is concert series being put on in association with the Music in Familiar Spaces project. This initiative seeks to make classical music accessible to a wide-ranging audience by holding performances in "familiar, comfortable and nontraditional spaces." Different events, all part of a yearlong tour, are scheduled at homes, churches, cafés, and local breweries as a way to allow listeners to experience classical music in new and engaging ways. 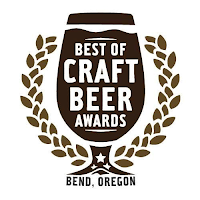 According to a press release, each of three musical pieces performed by Pincombe during Bach & Beer will be paired with one of the host brewery's beers. 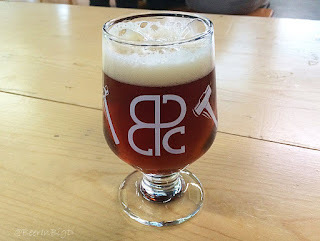 "Audience members will discover the connections between the art of brewing and the art of playing the music of Bach while sipping on their favorite brews from Tupps. Just as many brewers follow a recipe that was used hundreds of years ago, Steuart's approach to playing Bach also looks back on old 'recipes' and methods of playing. 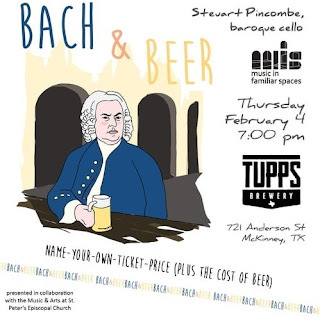 The program of Bach's Cello Suites will be interlaced with short explanations of Steuart's historical, interpretive approach along with comments on the historical brewing method of each beer." The concert at Tupps is presented in collaboration with Music & Arts at St. Peter's Episcopal Church. St. Peter's will host Pincombe and his wife Michele in the sanctuary of the McKinney church for a performance of sacred early American music on Saturday, February 6 at 8 p.m. Regarding the brewery event, those attending will be asked to name-their-own-ticket price, paying what they can afford and what they deem the concert is worth. Beer will be sold separately. Image credit: Firestone Walker Brewing Co. Breaking the product out of its home state, Firestone Walker announced today that the brewery will begin shipping 805 beer to Texas. Debuting in 2012, the beer billed as a "light, refreshing blonde ale crafted for the California lifestyle," was originally brewed to serve the tri-county area of California's Central Coast. Since then, 805's footprint has expanded somewhat, though prior to today the beer has remained a California exclusive. Now, for the first time in its history, 805 will be sold outside of the state. 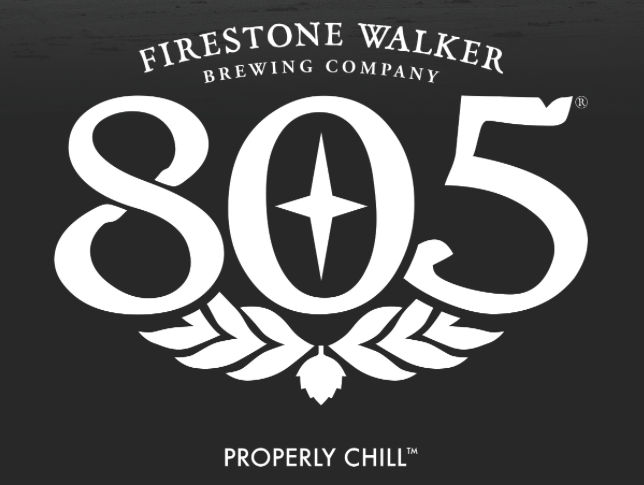 "When 805 was available only on the Central Coast, people bootlegged it down to Los Angeles," says brewery co-founder David Walker. "Now that we're in Los Angeles, people are bootlegging it to Nevada and Arizona. The beer is telling us where it wants to go." 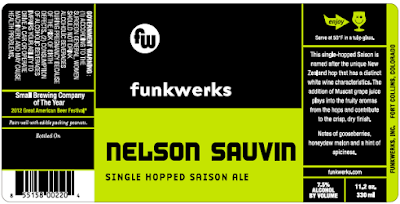 Added fellow co-founder Adam Firestone, "The beer is driving its own eastward expansion, but now we can make sure it's properly transported, chilled and accessible." According to a press release, 805 will begin appearing across Texas during the month of January. 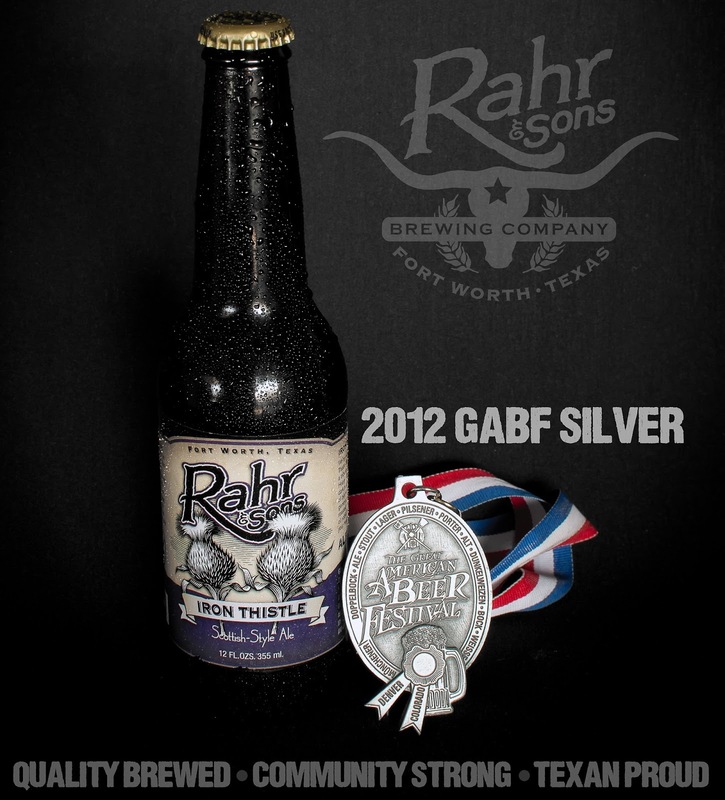 Firestone Walker is handled by Andrews Distributing in the Dallas/Fort Worth area. 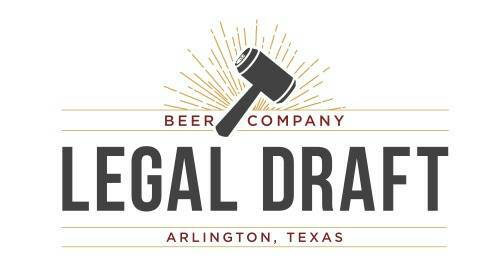 Establishing itself as the first production brewery in Arlington, Division Brewing held its grand opening last Thursday during an event that served as a sort of New Year's Eve pre-game party. 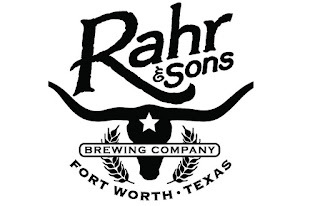 Occurring on the same night as the Cotton Bowl going on at nearby AT&T Stadium, game day traffic didn't seem to be a deterrent, as a sizable crowd made its way to see the newest brewing operation in North Texas. 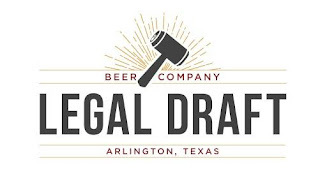 The work of owner Wade Wadlington and brewer Sean Cooley, Division occupies a warehouse just off the tracks of the Union Pacific Railroad in Downtown Arlington. Brewing has been underway for a couple of months, with some beers debuting during North Texas Beer Week in November, but Thursday's event was the public's first opportunity to get an up-close look at the actual brewery. up Division's production setup (© Brian Brown/Beer In Big D, click to enlarge). Consisting of just over 3000 square feet, the interior of the building is essentially a unified taproom and brewery. 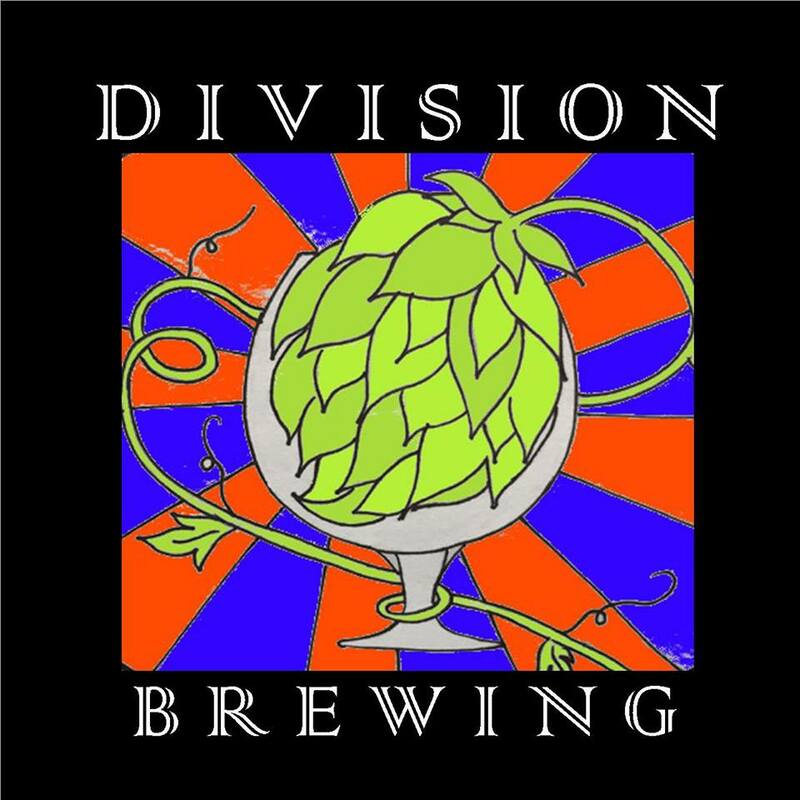 On the production side of things, Division is a nano-brewery, with an equipment inventory made up of a Psycho Brew 4-Burner Pilot System, a 7-barrel mash tun and a group of (no bigger than) 10-barrel conical fermenters. Opposite those items is the bar and tapwall-fronted cold box, with table seating, pallets of grain and a stack of wood barrels taking up additional room. Given all of that, it may not seem like a huge space on the inside, but visitors also have access to a few thousand square feet or more of outdoor area. Fare Thee Well (© Brian Brown/Beer In Big D, click to enlarge). 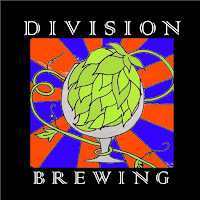 Of course, as is the case for all breweries, Division's primary attraction is the beer. 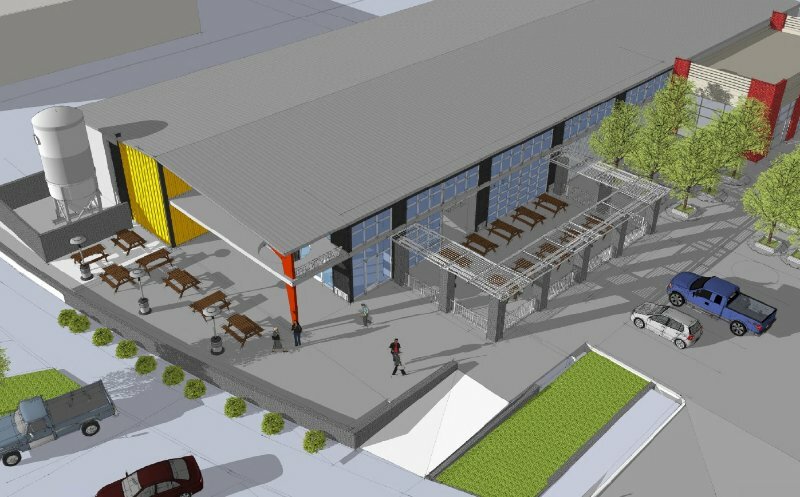 And, based on what was offered on day one, the brewery plans to make plenty of that available. No fewer than 17 beers were on tap for the opening, with options covering a number of different styles. 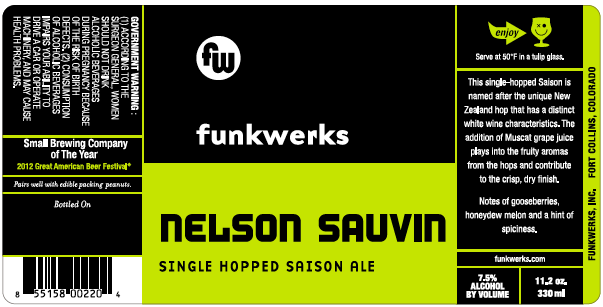 Included among beers of American, English and Belgian influence were a couple of farmhouse ales, a Berliner weisse and 7 IPAs (of varying ABV & IBU values). Of those I tried, my favorites were Fare Thee Well, a yeasty, funky and fruity grissette, and X-Mas Morning, an even-keeled coconut chocolate porter. As for distribution, indications are that the brewery won't begin delivering to local accounts for another month or two. That means, at least for now, if you're looking to check out what Division has to offer, you'll have to make the trek to Arlington. 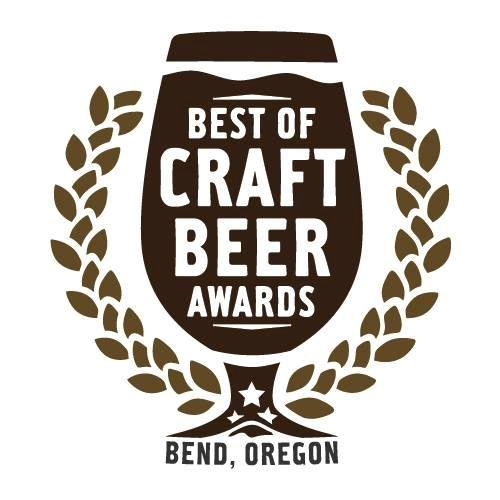 Even then, you'll have to exercise a little patience, since the brewery won't be open again until January 30. Based on my initial impressions, though, it's worth the trip, especially if the price of admission stays the same. 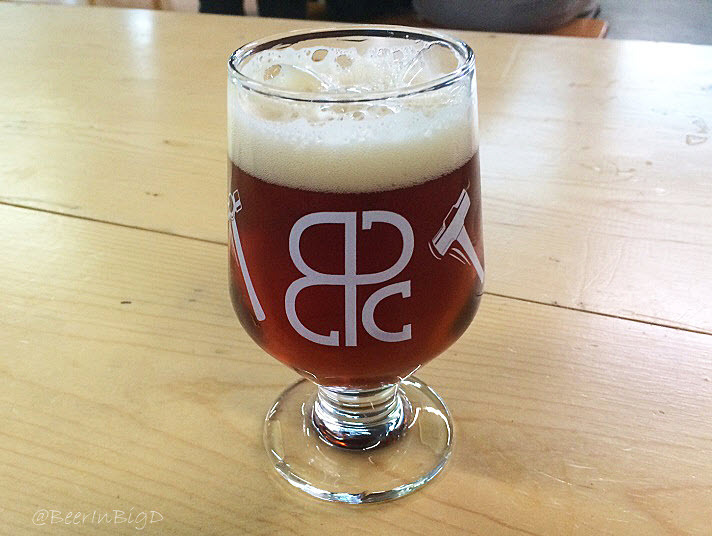 As brewery tours go, the trip to Division was a relative bargain, considering $15 got you a pint glass (or snifter) and five full pours.